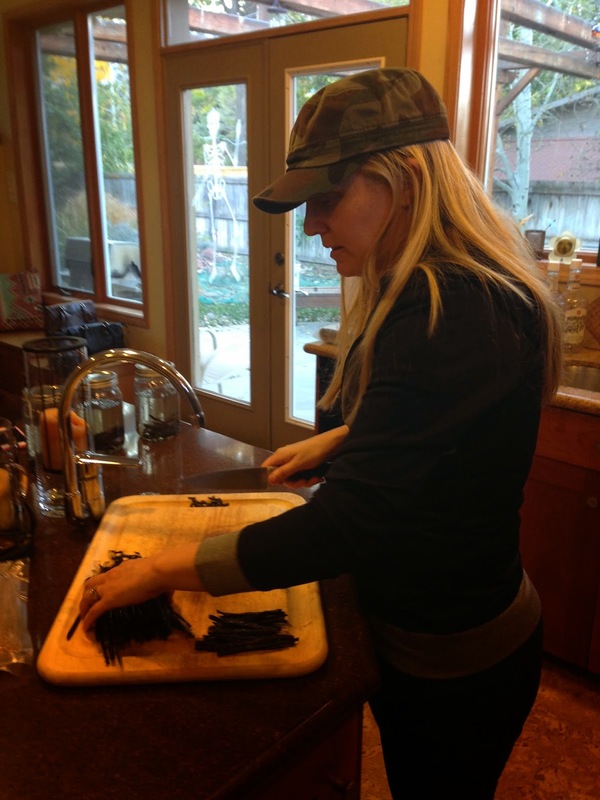 I had no clue that making vanilla was such a cinch! Here is the link where we found them. 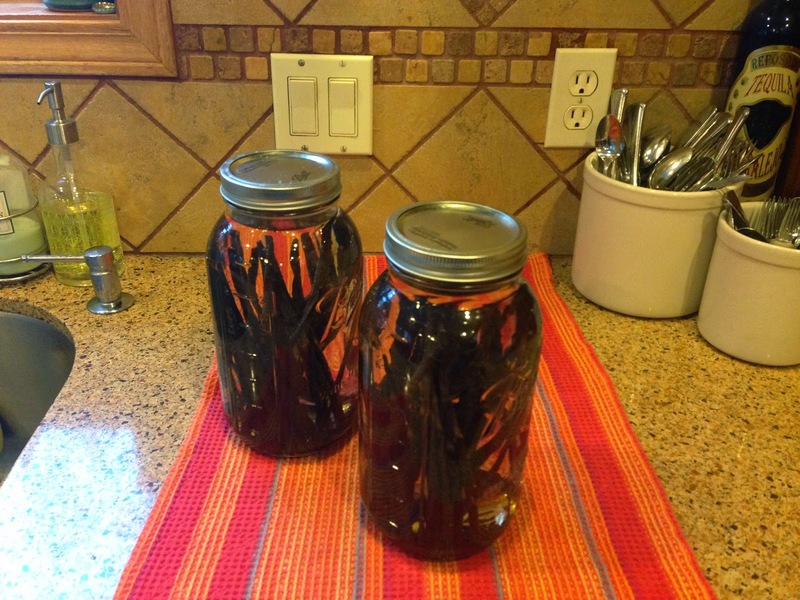 I used one full package of beans divided between the two half gallon size canning jars. I found mine at Harmons - I loved the half gallon size. Two of the half gallon size bottles made 5 batches of the vanilla. Make a trip to the liquor store. There are many articles regarding the types of alcohol to use. Some prefer Vodka. We chose to go with rum based on articles we had read about the sweetness that came from the rum. There are many different types, prices and brands. 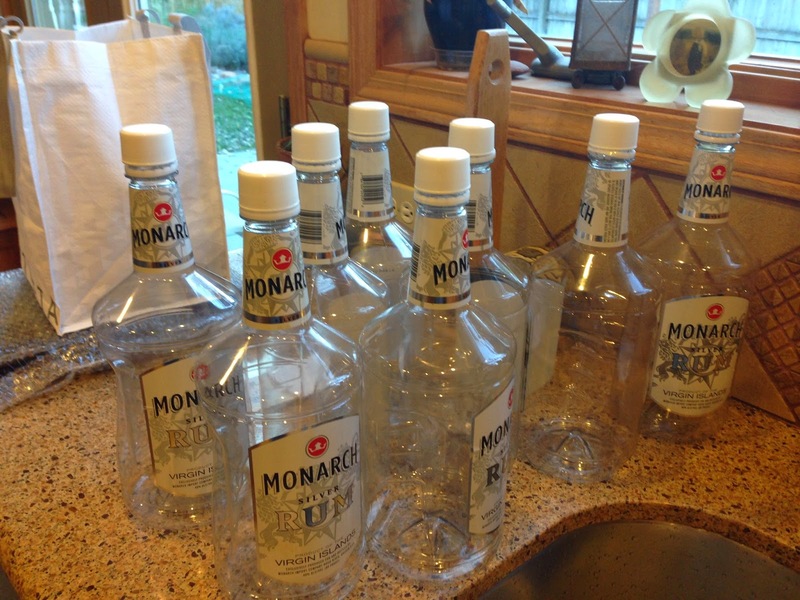 We chose the Monarch Silver Rum because it is a medium grade and it was around $18.00 a bottle - on sale. These were the largest bottles. 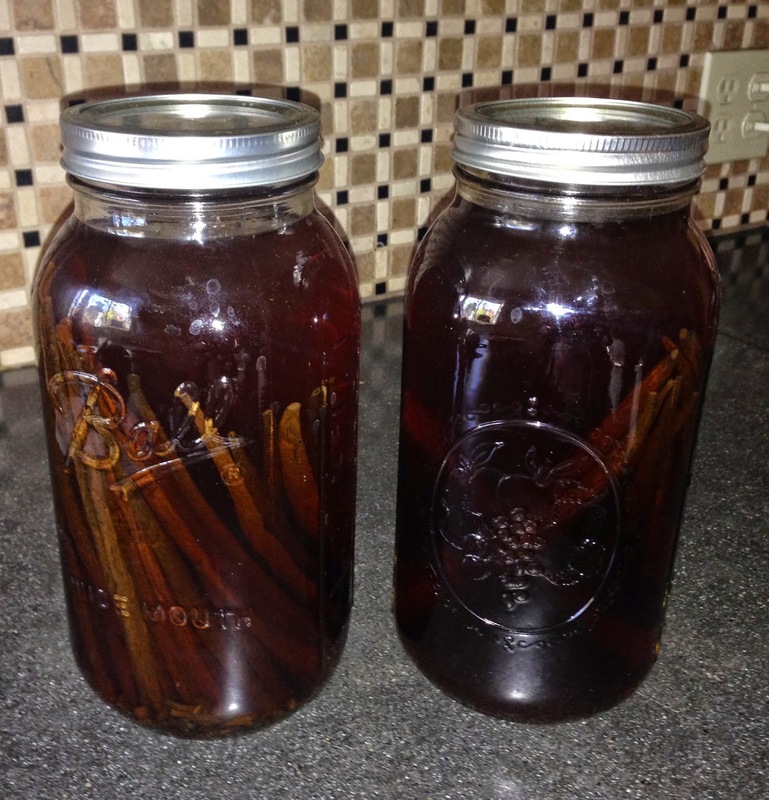 Cut the tips off of your vanilla beans on both ends which allows the alcohol to seep through the bean. I saved the tips and added them to the Mason Jars. Later I will throw away the cut off tips. 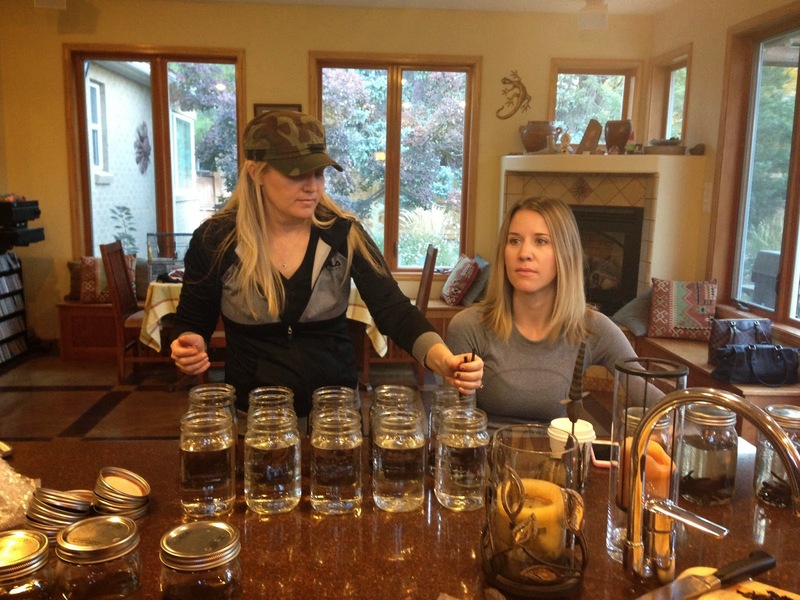 Pour the rum into the canning jars. Add the vanilla beans - after the tips have been removed. Close the lids tight. Now let the magic happen. Here are what my bottles looked like the first day. Now about two weeks later this is what the bottles look. The Rum is getting darker day by day. The rum will continue to darken. It is recommended to leave the beans in the rum for AT LEAST two months to get the full flavor - longer is better. The vanilla will never be quite as dark as purchased vanilla because there is usually coloring added. Periodically you want to shake your bottles. Keep them in a dark place. 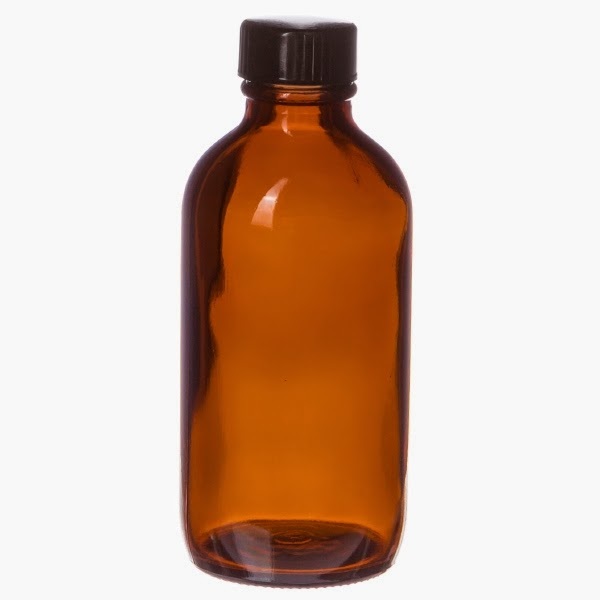 After you are satisfied with the taste you can put the vanilla into smaller bottles for cooking and gifts. I made a large amount because the flavor continues to get better over time. There won't be a need to make more anytime soon. 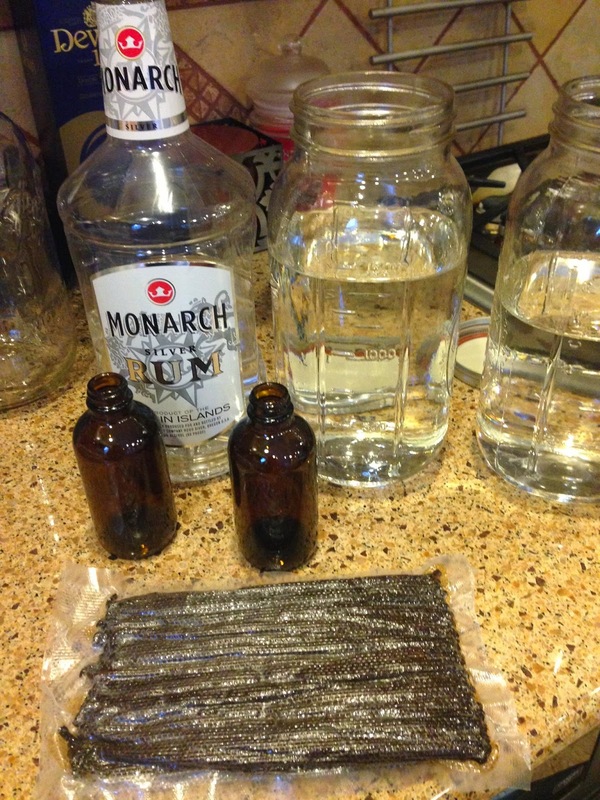 Save your vanilla beans and add some to your smaller bottles, again the flavor will continue to develop. You can also remove the bean past from the bean pod itself and use for later cooking and flavoring. These are the cute bottles we ordered to put our vanilla in when ready. My sister ordered these labels for her bottles. I found the following link online which I thought was also a great idea. Purchase mini bottles of alcohol. Add the bean directly to that bottle and you already have a cute label and you don't need to transfer bottles later. Making vanilla was quick and easy. 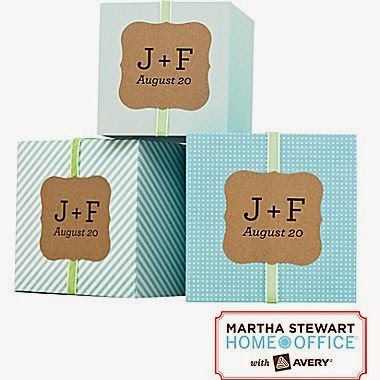 The most time consuming part was gathering supplies, which half were ordered online and shipped to our home, making the gathering pretty simple. I am excited to taste the final product and be able to give some as gifts and make some cookies.